Hotels, camping sites and even bed and breakfasts are all vastly different from one another, and the same is true when it comes to holiday parks. 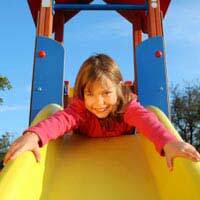 Some have fantastic child-friendly facilities suitable for toddlers and young children, others cater to older kids. Some, on the other hand, are very rustic, with few facilities available at all. If you are thinking of booking your holiday in a holiday park this summer, don't leave it all up to chance. Decide beforehand what you are looking for, and do you research to find a holiday park closest suited to your needs – and the varied needs of your children. You might want a quiet holiday park so your baby can have long naps during the day, or a loud vibrant park with a kid's club to keep your 'tweens busy while you sit near the pool, reading a good novel and sipping a chilled drink. Make sure you book the right one for you. Before you book your holiday, think carefully about what you want. It's worth taking a few hours to research carefully what's on offer in the area in which you are interested, then go from there. Type of accommodation. Accommodation can vary greatly from park to park. Some offer sites to pitch your own tent, others have caravans, luxury mobile homes, chalets and lodges. Are your children of the age where they are happy to rough it in a tent and use the communal toilet facilities, or would you prefer having your own bathroom to easily bathe your small baby? How many bedrooms do you need? Facilities. Many holiday parks have on-site shops and restaurants, heated swimming pools, bowling alleys, amusement arcades and restaurant take-aways on offer. Others don't even offer electricity to their guests. Think about what you want, and if your children are old enough, involve them in the conversation to learn what their needs and expectations are as well. Activities. If your children are happy in the swimming pool from sun-up until sundown, you might not care if there is a kid's club. If they like the company of other children and prefer arts and crafts to swimming, a kid's club might be ideal. Then again, you might want to spend all your time with them. The options are endless. Area. Some people never leave the park site, others like to take day trips away. If the surrounding area is irrelevant to you, make a decision based solely on what the park has to offer. If you plan several day trips away from the park, however, choose an area where there is plenty to do. At home or abroad? If your children are older and you can afford the extra expense, choosing a holiday park in Europe can add an added sense of adventure to the trip. If they are very young, however, you'll be paying extra - and travelling a lot longer – for nothing. Size. Some people especially those with very small children, prefer a tiny park where they can walk virtually everywhere within just a few minutes, and where the noise level is relatively low. Those with teenagers might prefer a park that's a lot bigger and livelier. Don't get caught out. Preferred pitch. Most holiday parks give people a chose of pitch in which to choose, either closer or further from the action, in a sunny or shaded area, near or far from children's play areas. Ask to see a map beforehand so you can make an informed decision of where you want to be. Choosing the right holiday park can make all the difference to your summer. Whether you want to stay in a caravan, tent, mobile home, chalet or lodge is important, as well as what type of facilities and activities you expect when you get there. Asking friends with children of the same age for recommendations is always a good idea, as getting a first-hand account of what the park is really like is usually better than relying solely on the park's description of itself. Some websites publish reader reviews, which are usually brutally honest. But keep in mind that one person's opinion may be completely different than your own, and that a problem pointed out in a reader review may have been rectified long ago. Before you book, take into account the age and interests of your children and what their expectations are, and think carefully about what you and your partner want as well. Hopefully, with a little research, you'll find a park that is up to everyone's hopes and dreams.